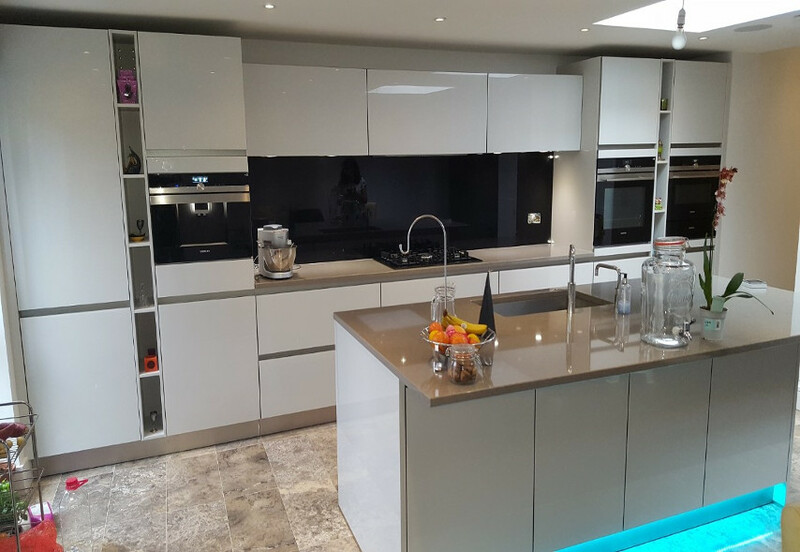 A huge thank you to our customer Jasmin from Essex for showing us your completed kitchen (as well as the rest of the house!). 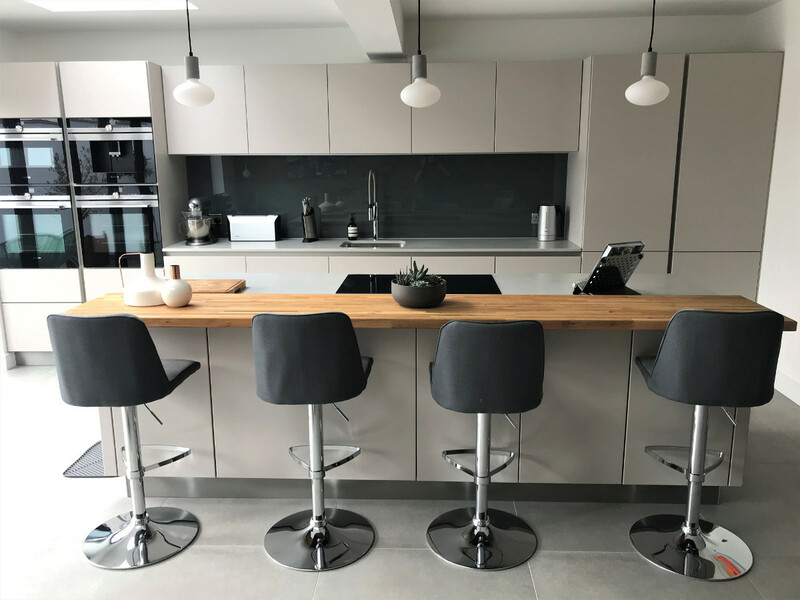 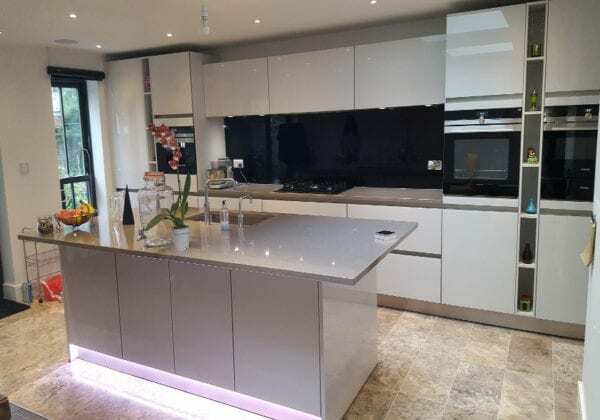 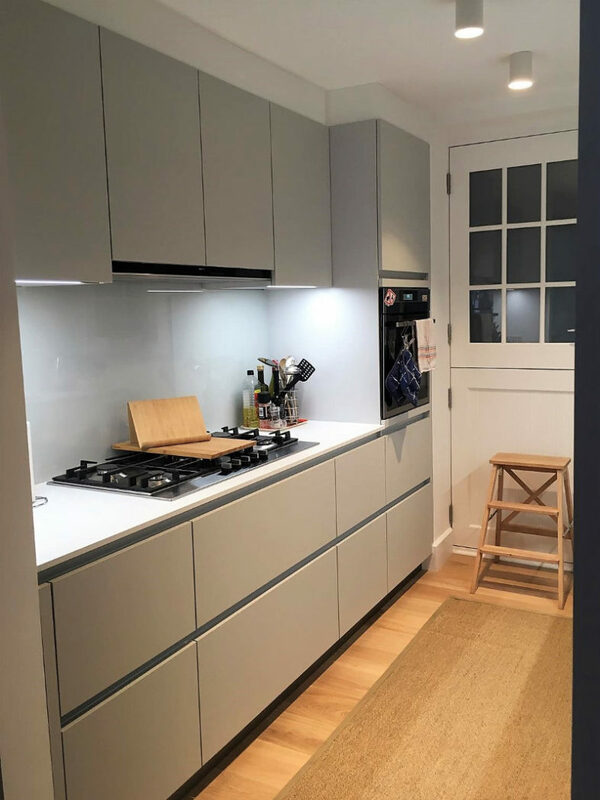 Jasmin has a Next 125 Crystal grey glass gloss finished units with 150 mm width open shelving between the tall units and Quartz worktops with a 300 mm breakfast bar overhang with seating for 4/5 people. Thanks again Jasmin, your house looks superb!